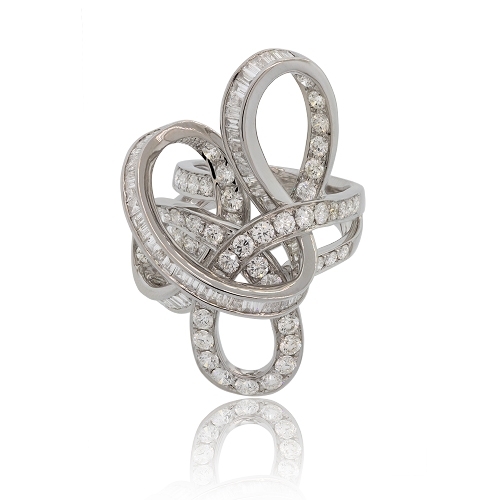 18k white gold ring with a twist motif using round and baguette shaped diamonds. Diamonds approx. 4.13ct. Ring size 7.